These men's sweatpants are made from 8-ounce, 50/50 cotton-poly Heavy Blend™ fleece. 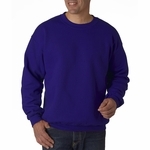 Heavy Blend™ is Gildan's ultra-cozy fleece with lasting warmth and pill-free performance. 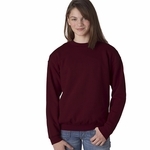 Fleece looks amazing with screen printing or embroidery for top team wear. 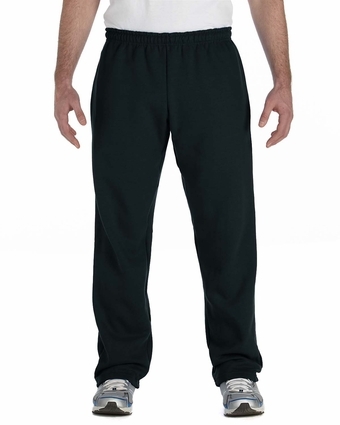 A relaxed alternative to elastic bottom pants, this open bottom men's sweatpant from Gildan can be worn anywhere. The 50/50 cotton-poly heavy blend fleece is made with no-pill yarn, so it keeps its presentation. 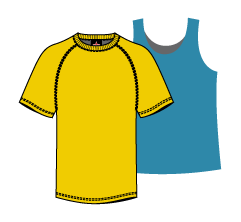 For a budget-friendly price, decorate this soft, smooth surface with an imprint or embroidery to make your team name stand out.